HURRY! 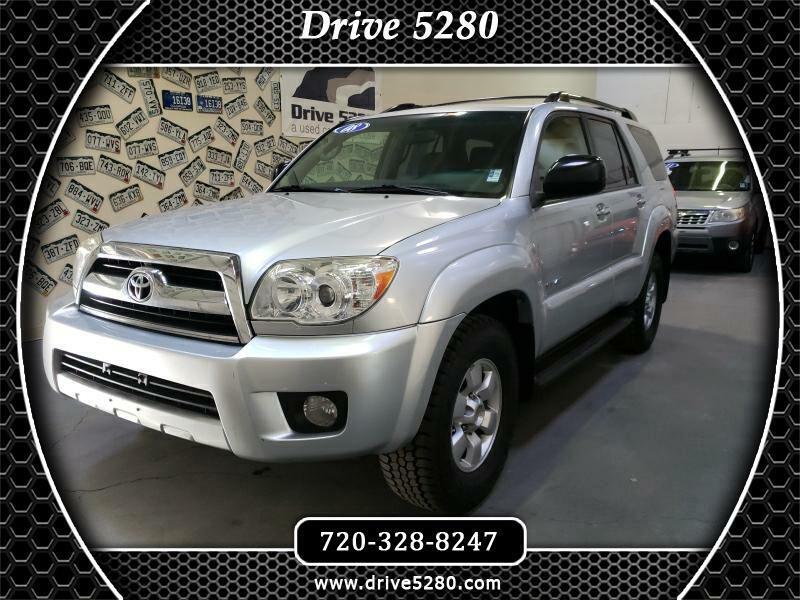 This 2008 Toyota 4-Runner SR5 V6 4x4 with a clean car fax will not last long, 3RD ROW Seats , AM/FM CD Aux. Premium Sound , ABS, Standard Safety features that have made the 4 Runner one of the safest SUV's on the road. Plus>>> It also comes with the Drive 5280 exclusive 5-month, 5,280 mile warranty at no charge. Visit Drive 5280 online at www.drive5280.com to see more pictures of this vehicle or call us at 720-328-8247 today to schedule your test drive.